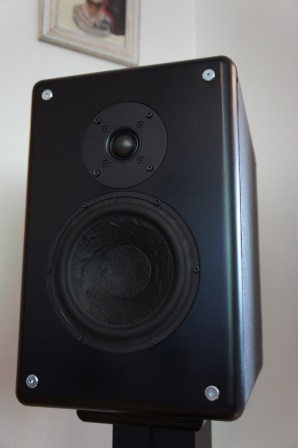 Classic Two – M5 is a large sized 2-way stand-mount bass-reflex loudspeaker. It’s ideal for medium sized listening room. The tweeter can be fine-tuned to several different levels according to personal preferences and taste. 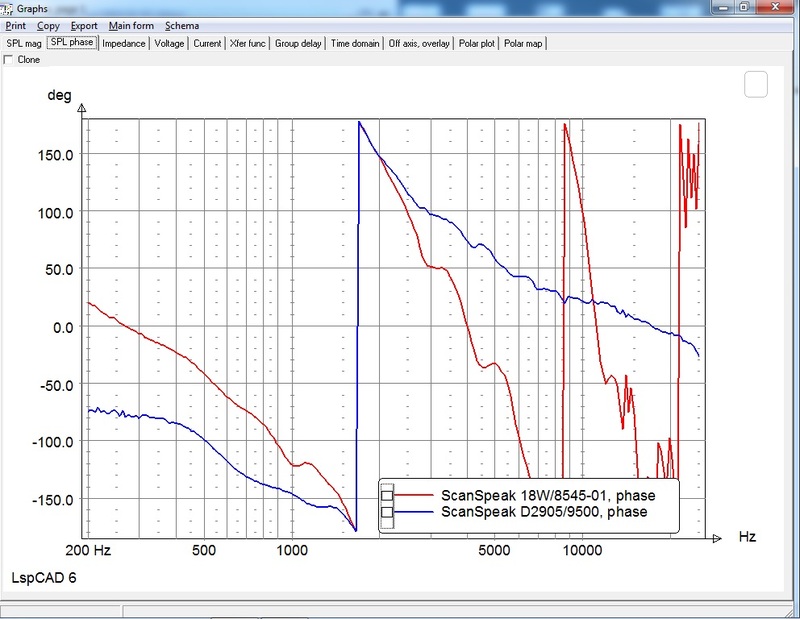 Classic Two – M5 uses two low distorting driver units from the ScanSpeak Classic line. The 18W/8545-01 7″ mid-woofer uses an air dried Paper/Carbon Fibre cone which is stiff, but without the associated severe cone break-ups of the usual stiff cone drivers. The D2905/950000 1″ textile dome tweeter uses a non-resonant chamber and a light ferrofluid in the air gap to ensure optimal linear mechanical behavior and minimal micro-dynamic non-linearity. 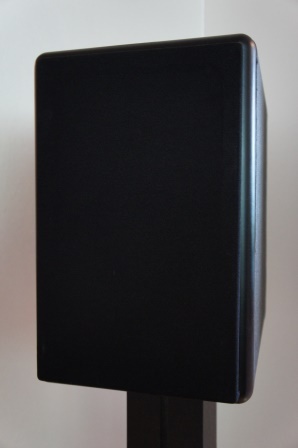 Classic Two – M5 uses a 27 liter enclosure. 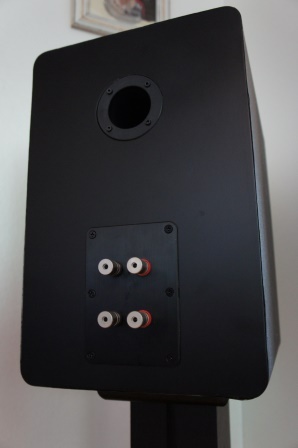 The enclosure is made of 19mm MDF with internal bracing and 18mm baffle edge round-over. The internal cabinet walls are taped with straps of bitumen pads in order to reduce resonances. The enclosure is lightly filled with sheep wool. All drivers are flush mount and in order to let the mid-woofer “breathe” properly, don’t forget to chamfer the baffle for the mid-woofer. This is a very large stand-mount loudspeaker and that might not fit to everyone’s taste. As long as the baffle width and the driver unit lay-out isn’t changed, it’s up to the builders own choice on how the enclosure is shaped and built. It could be a curved cabinet or a squared box as mine or even be built as a floor-stander. 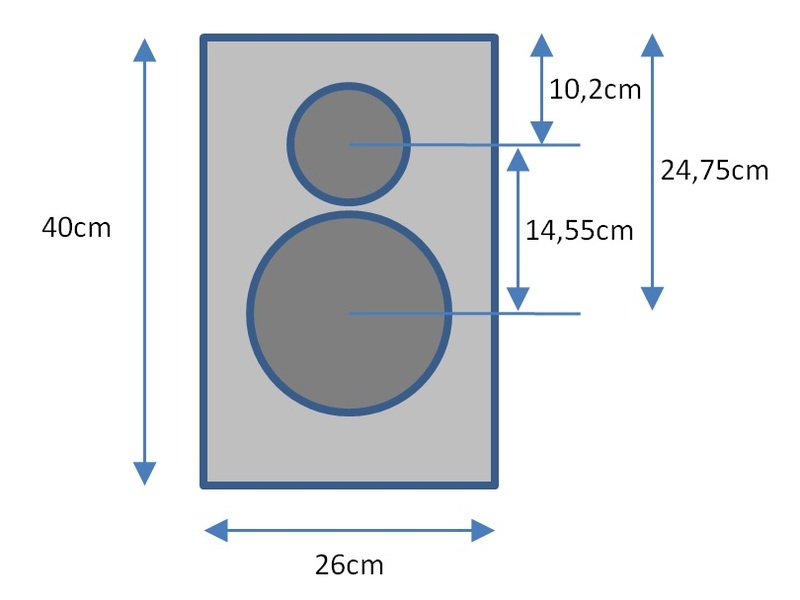 If the loudspeaker is built as a floor-stander the listening height should be at the tweeter level or slightly below (20mm). Also, don’t forget to place bracing in the middle of the enclosure and place some damping material at the same place in order to minimize internal standing waves. Minimum impedance of 4,2 Ohm @ 430Hz. 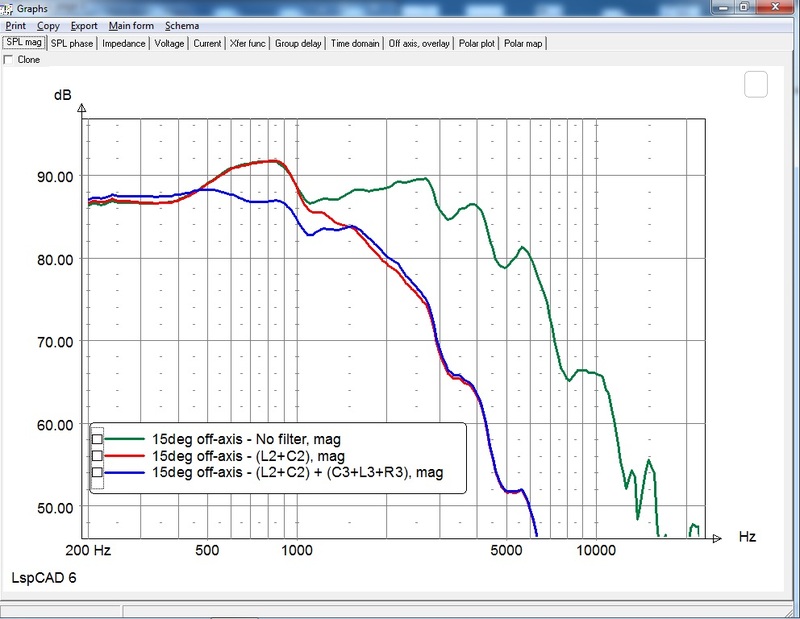 The Classic Two – M5 uses an acoustical fourth-order Linkwitz-Riley (LR4) filter topology. The mid-woofer cross-over filter section is an electrical second-order and consists of a coil and a cap (L2+C2) that shapes the cross-over slope to a LR4 roll-off with a targeted 1.9kHz cross-over point. The mid-woofer cross-over filter section also have a frequency response shaping circuit, the (C3+L3+R3). C3 uses a 22uF and 1.5uF cap in parallell in order to achieve 23.5uF. The L3 coil and R3 should have a total resistance of 6.9 Ohm +/- 0.2 Ohm. 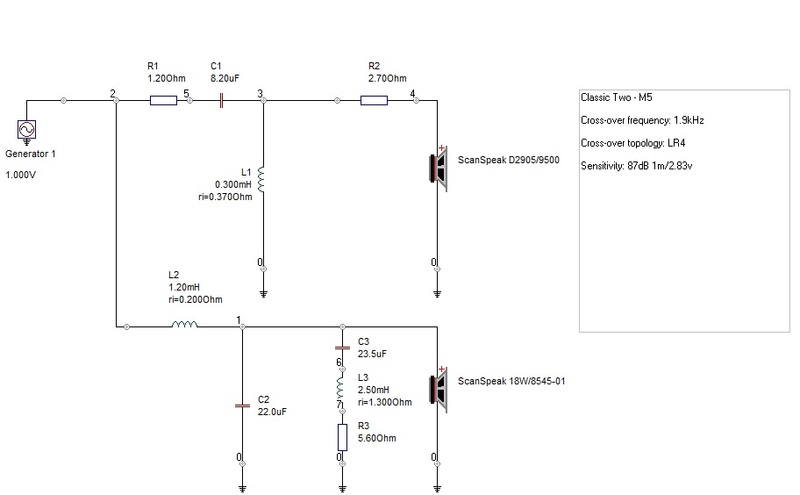 The tweeter cross-over filter section consists of two series resistor (R1) and (R2), together with a second-order electrical filter (C1 + L1) that shapes the cross-over slope to a LR4 roll-off with a targeted 1.9kHz cross-over point. R1 can be changed in order to fine tune the tweeter level according to personal preferences. Any value between 1.0-2.2 Ohm is valid. 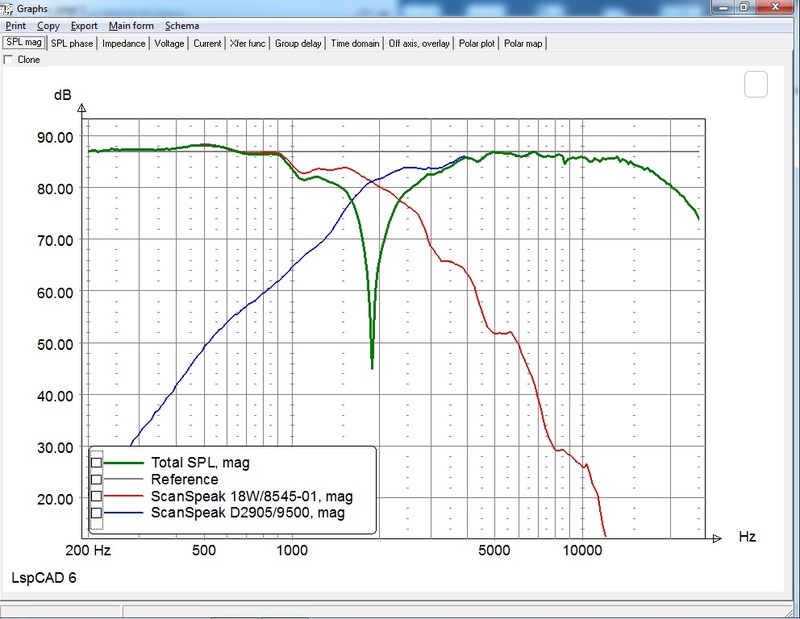 Green: 15deg off-axis frequency response, no cross-over filter. Red: (L2+C2) coil and cap only. Blue: (L2+C2) coil and cap plus (C3+L3+R3) response shaping circuit. The (C3+L3+R3) response shaping circuit is absolutely essential and cannot be omitted. 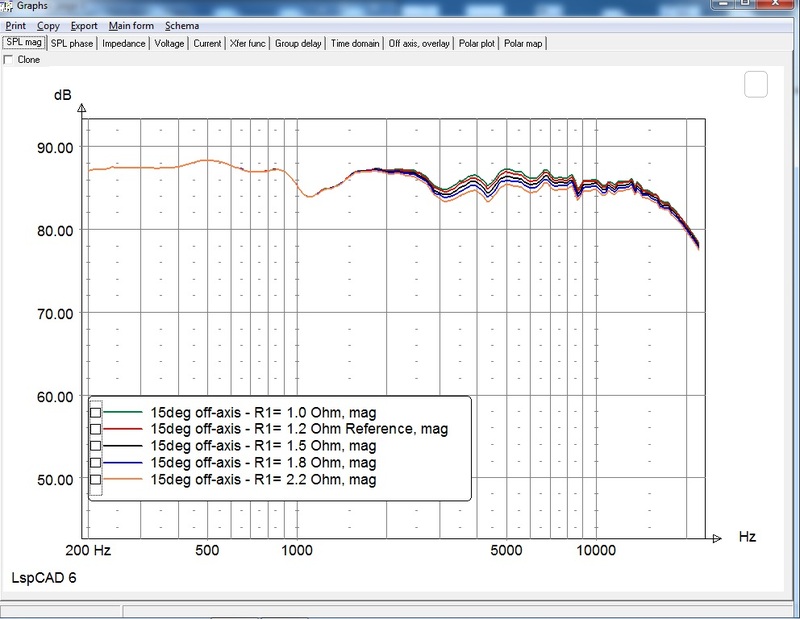 The (R1) shapes the level and upper frequency response of the tweeter. Top: 15deg off-axis frequency response. 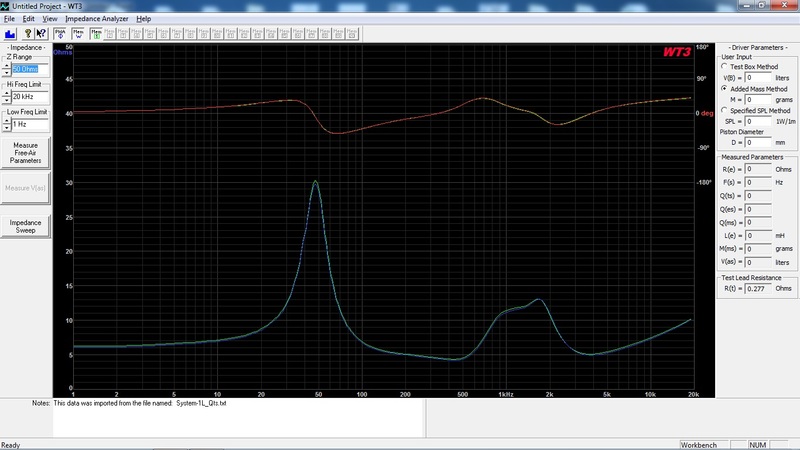 Left: 15deg off-axis frequency response, reverse polarity. 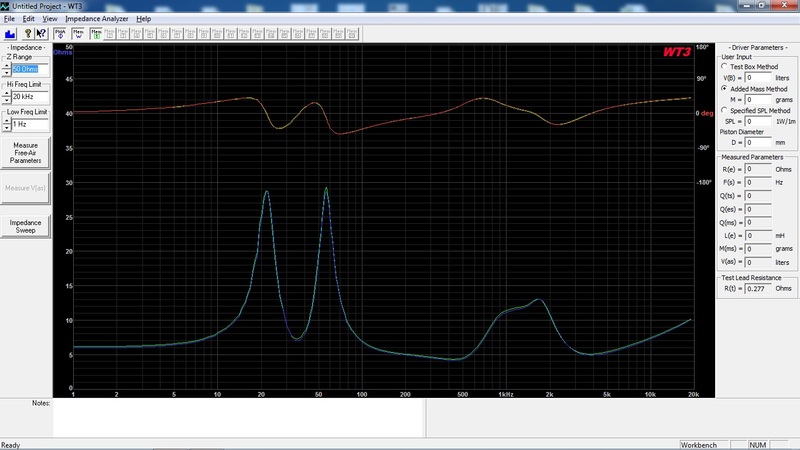 The reverse polarity simulation shows a deep reverse null indicating an excellent phase tracking between the two driver units. If nothing else is noted in the comments, the following frequency measurements of the finished loudspeaker are made at a 2m distance 20mm below tweeter height. All frequency response charts are presented in a 50db scale with 1/24 octave smoothing and the measurements are valid down to 375Hz. This loudspeaker have a very low odd-order distortion profile. The harmless second-order distortion rises in the mid-range at higher listening levels. The suggested components would cost about 850 US$, but the cost can be reduced by choosing less expensive cross-over components. 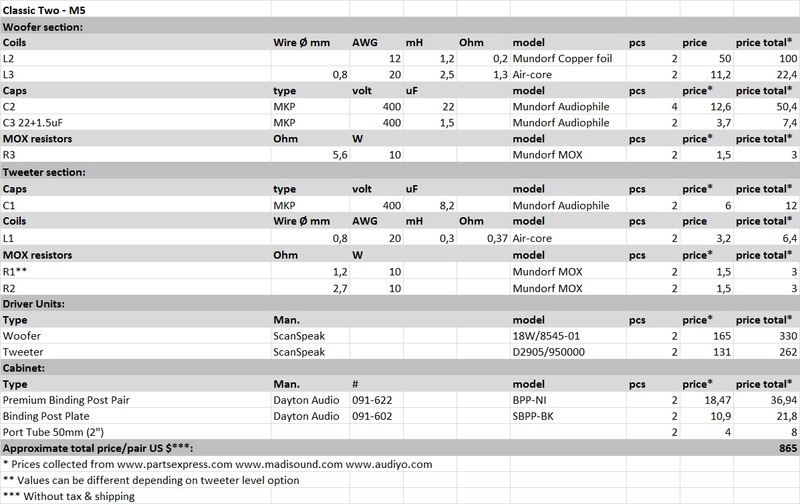 Both the mid-woofer and the tweeter are used in many high-end commercial designs and I can see why. Both drivers delivers top notch sonic performance. The mid-woofer digs deep with authority and can fill a room with well defined and effortless bass. The midrange is very open and clean, but yet warm in its basic character. The tweeter is delicate, airy with a nice ambience and it works in perfect harmony with the open clean character of the mid-woofer. The loudspeaker has a generous sound stage with a nice width and height. No or little toe-in, slightly below tweeter height. >0.5 meters from back wall. 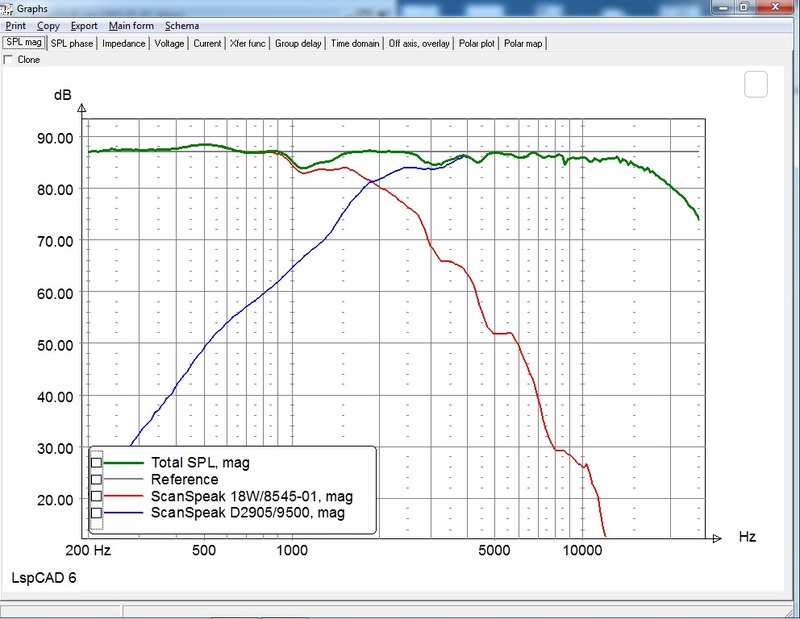 The loudspeaker is optimized for a listening distance of >2.5m, but everything between 2-3.5m works fine. As always it pays off to test different loudspeaker placements and see what fits the room and personal preferences the best. Cross-over function: LR fourth-order acoustically, second-order electrically with frequency response shaping circuit.